Republicans Jump All Over Biden Remark On Middle Class ~ " Century Fox Post "
Vice President Joe Biden said Tuesday that the middle class has been "buried" during the past four years, prompting a rare moment of concord with Republican Mitt Romney's campaign. "Agree with @joebiden, the middle class has been buried the last 4 years, which is why we need a change in November," Romney said on Twitter. "We agree!" his running mate, Rep. Paul Ryan (Wis.), told a crowd in Iowa. "That means we need to stop digging by electing Mitt Romney as the next president of the United States." 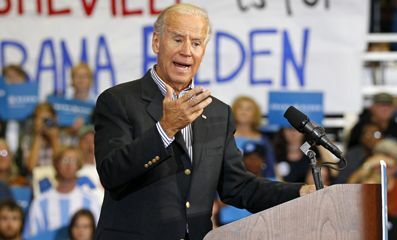 Biden, speaking at a campaign event in Charlotte, N.C., said that Romney would raise taxes on the middle class. "How they can justify . . . raising taxes on the middle class that has been buried the last four years?" he asked. After Republicans seized on the comment, Biden said: "The middle class was buried by the policies that Romney and Ryan have supported." The Romney campaign obviously sees the remark as a potential stumble for President Barack Obama, who has maintained a slight edge in the polls during the past two weeks. Romney surrogate John Sununu, in a conference call with reporters, was asked if he thought the vice president's words would move poll numbers. The former New Hampshire governor replied, "No, but I think it sets the stage for the debate that will take place tomorrow." Romney, who is in Denver preparing for Wednesday's first presidential debate, said in an interview Tuesday that he would not deport young illegal immigrants who have received temporary visas under an executive order issued by Obama. "The people who have received the special visa that the president has put in place, which is a two-year visa, should expect that the visa would continue to be valid," Romney told The Denver Post. "I'm not going to take something that they've purchased. " Romney, who has criticized the president's executive order as a temporary fix, has not been specific about what he would do about the country's 11 million illegal immigrants, except to say he would not "round up" and "deport people."